The hero-city Sevastopol, situated on the Black Sea coast of the Crimean peninsula, is one of the most famous cities of Ukraine. 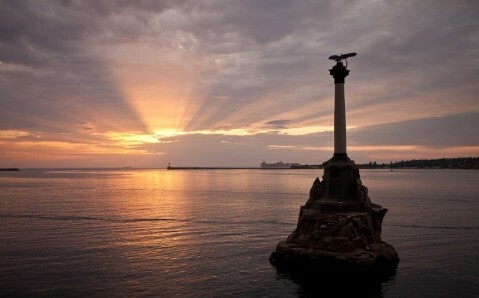 Today, it is a first-rate seaport and an important industrial, cultural, historical, and tourist center of the Crimea. 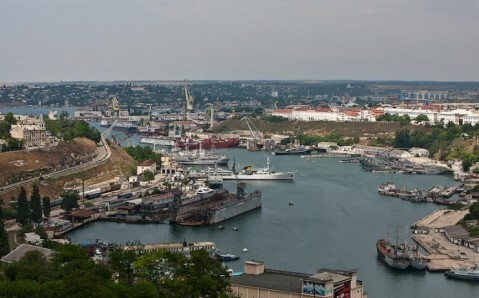 In Sevastopol are situated the main naval station of the Russian Black Sea Fleet and the Ukrainian Navy. In the 15th century, the Crimea became a part of Ottoman Empire, and by the end of the 18th century it was conquered by the Russians. At that time, the empress Catherine the Great ordered a port to be build in a southwestern harbor on the peninsula. The builders chose a bay not far from Crimean Tatar village Akhtiar, close to ruins of Chersonesos. There, they started to build a port and a fortress, named by Catherine “Sevastopol,” "venerable city" in Greek. 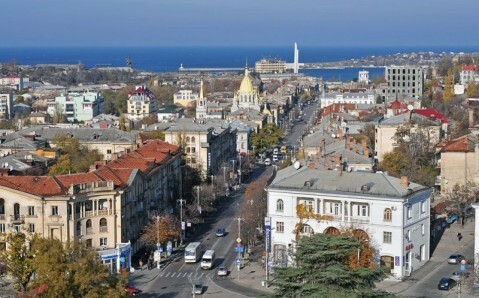 By the early 19th century, the city had become the Russian Empire’s main port on the Black Sea. This privilege was not without danger, as the city was invaded and had to be completely rebuilt twice in less than 100 years. The first attack came in 1854, during the Crimean War, as the combined forces of England, France and Turkey besieged the city. 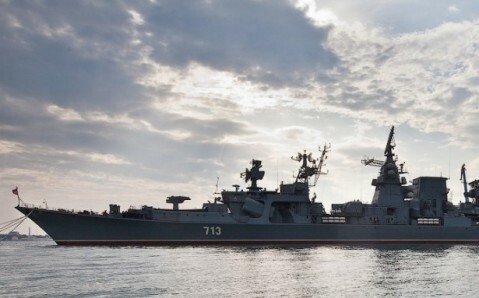 Sevastopol’s heroic defense lasted for 349 days. 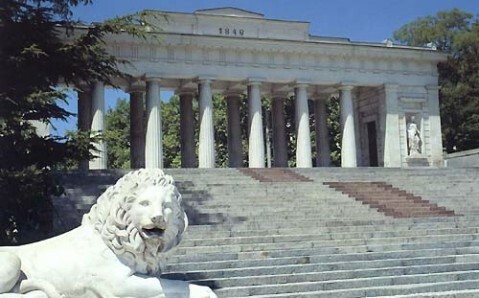 To commemorate these events, the Panorama Museum "The 1854-1855 Defense of Sevastopol" was created. The second invasion that the city had to fend off took place during the Second World War. It lasted 250 days, and played a key role in the fight for the peninsula. Because of its unique history, as well as numerous monuments of architecture, and archeology, Sevastopol is often called a museum-city. The most interesting objects are the Grafskaya Wharf, the city’s first construction project that is now its claim to fame, the seaborne Monument to Sunken Ships, and the Memorial to the Defense of Sevastopol. Also located here is one of the oldest naval museums of Ukraine, the Museum of the Black Sea Fleet, commissioned by those who fought to defend the city during the 1854-55 war. 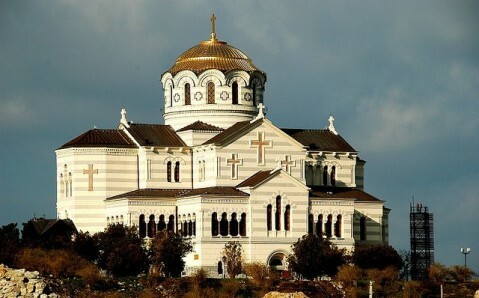 As any seaside city that is surrounded by beautiful bays, Sevastopol is an appealing vacation spot. To help facilitate tourism, the beaches in the area have all the amenities that their visitors may want. During the summer, there are numerous playgrounds, bars, restaurants, and clubs that are open to tourists. Besides that, Sevastopol is famous for its resorts, which attract tourists not only from Ukraine, but also from neighboring countries. This hero-city draws the largest number of visitors on the Day of Naval Forces, when a breathtaking show put on by military ships takes place. Sevastopol also hosts several international festivals and competitions. This wonderful city seduces its guests with the ability to please the most varied tourists: from antiquity-lovers and history buffs, to beach bums. And of course, Sevastopol’s hospitality only adds to its appeal.